We are a billiard retail business specializing in delivery to locations in Western Montana. In business for 20 years, we sell Brunswick, Olhausen, and Drawknife pool tables. We focus on quality products and impeccable installations. We work with designers and have often installed game room furnishings in high-end locations like the Yellowstone Club in Bozeman, The Stock Farm in Hamilton, and many locations around Flathead and in the Whitefish area. 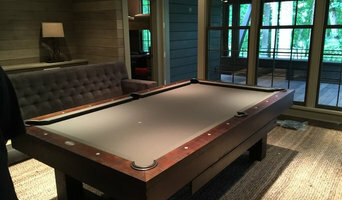 We encourage designers to speak with us before planning a game room so that we can impart the many years of knowledge we have in pool table installations and game room functionality. L. A. Design Custom Framing has been serving western Montana for over 27 years. We offer comprehensive fine art framing services and represent legendary Montana artist Larry Pirnie. 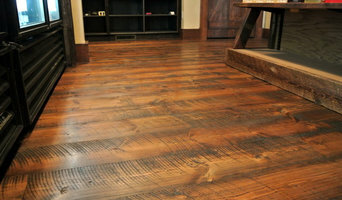 Epoxy floor coatings and industrial strength sealers. Stucco Expert in the Missoula area. We are the best Specialty Contractors in the Huson, Montana Area. Please contact us for all of your underground work needs! Timber Builders has been in the timber frame business for 25 years. We specialize in finely crafted structural traditional timber frames and heavy timber trusses and accent trim. 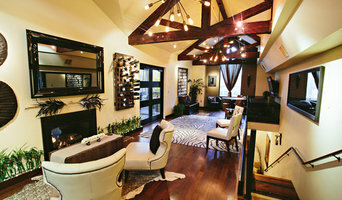 Our work has been featured in Architectural Digest and other fine home publications. We use reclaimed timber and the highest quality kiln dried structural timber available. We specialize in rough cleaning, touch ups, and final cleaning of new homes for those special touches that set you apart from other builders/sellers. Whether you’re looking for a team of Bonner, MT professionals or a handyman for a small renovation, you’ll find dozens of professional profiles and contact information for specialty contractors here on Houzz. Here are some related professionals and vendors to complement the work of specialty contractors: General Contractors, Landscape Contractors, Architects & Building Designers, Interior Designers & Decorators, Kitchen & Bath Designers. Let’s say you want to install custom wood flooring in your dining room, and you’ve found a Bonner, MT company with excellent reviews. Next you’ll want to contact the company and make some inquiries. Find specialty contractors on Houzz. Look in the Professionals section of our website under Bonner, MT specialty contractors, then select the nearest metro area for a contractor. You can also look through Montana photos of completed projects to see how a contractor might approach design challenges.